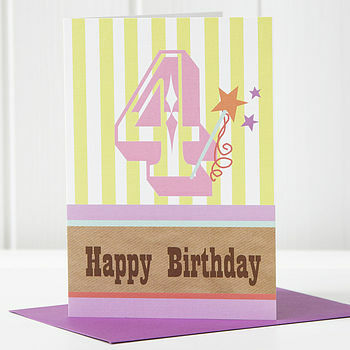 A lovely card to buy your baby daughter, granddaughter, goddaughter or niece when she turns four. 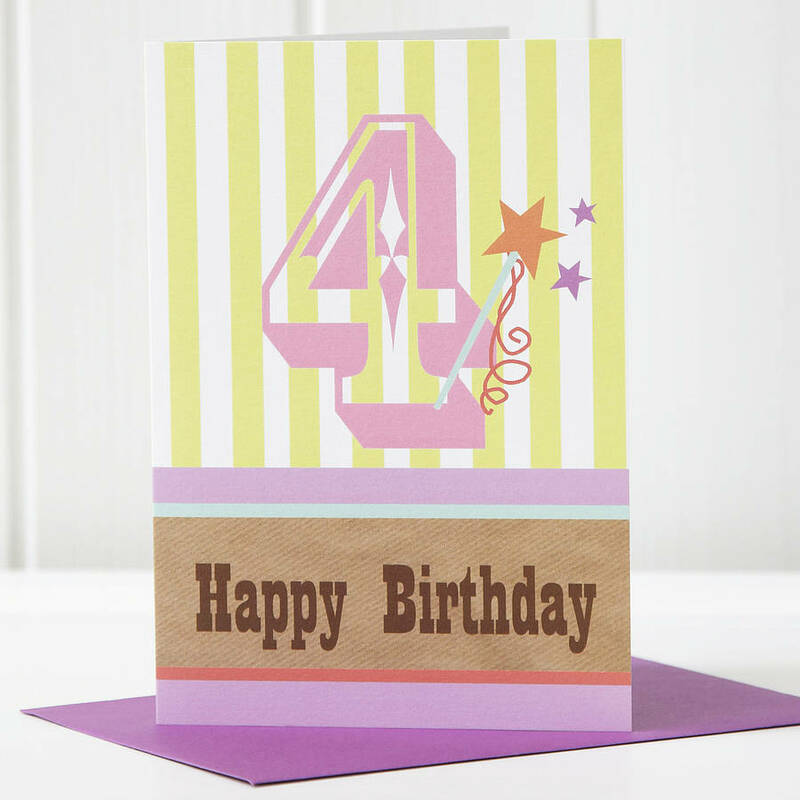 All birthday cards measure 175mm x 12mm and are printed in the UK on card from sustainable forests. Card comes packed in a cello bag with coloured envelope for you to write yourself, or type your message in the 'gift message' box by the checkout and we will hand write it (in our best hand writing) and send it with your gift. You can choose to buy only the birthday card or you can buy our lovely mouse rattle to go with the card.